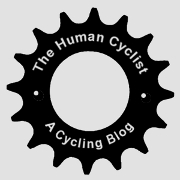 Hello, my name is Human Cyclist and I am a cycle training addict. I enjoy abusing my body nearly every day. I cannot get enough. Be it the highs of climbing repeats, the adrenaline of power intervals or the rush of speed intervals. Tired of the regular Sunday ride, I recently turned to the dark side of cycling to follow a proper training plan. No more cycling as I please, where I wanted, when I wanted. Now I truly was at the mercy of my addiction. What can I say? It’s a love-hate thing. In my last blog I wrote of how I turned from a casual cyclist to a er, proper cyclist i.e. I was now in training for real. Magic eh? Training for what you may ask? Nothing in particular but to ride faster. The coach in me tuts, for that’s an objective rather than a goal. Still, it’s all I have right now. Next year may well bring competitive cycling my way. Whisper it quietly, I may even join a local cycle club. So, craving improvement or at least a shift from my routine of one big ride a week followed by a long bout of fatigue, I knew change was required. My once weekly Sunday high tempo rides were enjoyable but detrimental to my progress. With great knowledge comes great change. Excited, I decided to jump straight into the deep end. Having recently signed up to Strava Premium, I decided it was time to get my money’s worth by beginning one of the Strava Premium training plans. Sure, I could (and probably should) have continued reading Joe Friel’s excellent Training Bible to design my own cycling plan, but hey, I’m a slow reader and with autumn looming, the sun weakens by the day. The Strava training plan seemed like a good taster for the wicked world of cycling workouts. One of the Strava training plans immediately caught my eye – Three Minute Hill Climb. Just my cup of tea. Or bidon of electrolyte, if you will. A lot of what I enjoy about riding involves powering up short steep hills as fast as possible. So with autumn here, this was perfect timing for my usual hill climb season. Best of all: daily emails with your workout for the following day plus some extra special words from your coaches. I cannot tell you how much I looked forward to the emails (if not the interval sessions themselves)! All of the above make the training plan simple to understand as well as incredibly engaging. For the first time in a long time I was excited to ride my bike again even though I knew a world of pain awaited! That’s not to say Strava training plans are essential or even for you. I’d say they require a fair amount of base fitness before attempting. I certainly wouldn’t attempt one of these without plenty of miles in the legs. Intervals are hard and you potentially risk injury if you attack max intervals without base fitness. It’s also worth noting that the training plans are not custom to you. Whilst you can set the number of hours you want to train, these training plans are not your personal coach and cannot possibly know enough about you to design a bespoke training plan. Yet they’re a great introduction into the world of structured training. It’s true you can create your own or find very similar training programs elsewhere on the internet for free. Strava merely packages them up nicely and makes the whole process very easy, great if you are already a premium member. Not a premium member? Sign up for a month and try a plan before committing to a full year’s membership, which is relatively cheap when you consider the price of a sportive. The training feature is a nice bonus of being a premium member (more on the questionable value of Strava Premium another time). If you are looking for a more complete online training plan then something like the slightly more expensive TrainerRoad might be better, which I’m sure I’ll be testing myself at some point over the winter because it looks a significant step up from the basic plans offered by Strava. Anyhow, back to Strava training plans. The daily training emails provide you with the motivation to get out and follow a structured ride, which is as challenging as the intervals themselves if you are used to riding at the mercy of your own whim, as I was. Although the workouts are designed to make you quicker for a particular segment e.g. 3 minute hill climb, 60 minute hill climb etc, they are still great ways to improve your riding, whether that’s sprinting, riding at tempo or hill climbing. The basic principles of training remain. Stress your muscles, rest your muscles, improve. A training plan merely provides the structure. Training plans are not for everyone. This we can all agree. To some they take the fun out of cycling yet to others they are a way to improve. For me, they’ve been both fun and improving although the sprint interval sessions quickly lost their appeal! Hell on wheels. Strava makes the planning side of things very easy so your challenge becomes sticking to the plan. Life is unpredictable and we all have different constraints, mostly around the amount of time we have available. This is the first thing to consider when picking a plan. My plan was designed for up to 7 hours a week and had relatively short rides as there’s no real endurance required to ride a 3 minute hill. That said my plan still has two short endurance rides a week to maintain a base fitness and stamina. It’s important to remember the training plans are designed to be flexible and work around you rather than the other way around. There’s five active days with two days of complete rest for each of the four weeks. In reality, of the five active days only three are high tempo. This means you can juggle the days around a little if need be. The most important part of the plan is to commit 100% to the intervals. If you can’t ride at the intensity required then you are too tired for the session and should stop rather than continue. Quality over quantity as always. You should also take the initial Field Test, a basic fitness test which you will use as a benchmark to gauge your efforts and also your progress. The rest days are also vital. The Strava workouts are designed to replace not supplement your usual riding although the plans do allow you to ride as you wish each Sunday so long as you don’t overdo it. The structured training has released me from the grip of always riding hard. It’s like being back at school. The timetable is balanced, working you hard one day, double maths (sprints), followed by religious education the next day (endurance rides). It’s no great surprise I’m a fan of the Strava training plans which rely heavily on Carmichael Training Systems, the man behind the popular Time Crunched Cyclist training books (and whisper it, former Lance Armstrong coach). Professionally designed the plans may be yet there’s a lot of room for improvement. How about a drag and drop feature to move workouts around during a week when you are busy? You should also be able to download the plans straight to your device as a workout file or at least create the workouts using Strava, as you can on Garmin Connect. Finally, I’ve found a use for Garmin Connect! Do you need a Garmin device or equivalent for these plans? No, but ideally you will have a way to measure your heart rate. A training device such as a Garmin or a training app will also help, with a countdown timer and noise to indicate when you are not riding in the designated zone. You will come to fear and need that countdown timer more than you may like! You can also do the same without tech. Find a familiar hill or stretch of road that you know how long it takes to complete and voila, you have a workout you can ride. Just make sure it is traffic free. Nobody has said ‘Died doing the thing he loved’ when thinking of somebody who meets grief in an interval session. How about a power meter, do I need a power meter to train? Ideally yes. Measuring power outputs is the most reliable way to train yet power meters are expensive. I don’t have one and so use a combination of heart rate zones and perceived exertion to complete my workouts. The later is actually the better indicator if you have been riding for a few years. Heart rates can lag effort, so when attempting interval one when your body isn’t quite warmed up, you may go full gas whilst your heart rate remains relatively low. Don’t worry, you know when you are working hard, and when you are not. We can only cheat ourselves! Your heart rate is an unreliable measure of effort because a) your heart takes time to warm up, b) it beats faster or slower depending on your general fitness and fatigue levels. That said, they are a useful guide, which along with your own estimates of exertion, will lead to good workouts. This is where perceived exertion comes to the fore. More experienced riders soon come to understand their bodies and how hard they are working on a scale of 1-10. I’ve been using Garmin Connect ever since I bought my Garmin four years ago. Back then Connect was rubbish. Sadly the same is true today. Even with the latest half-baked user interface, Garmin Connect fails to impress. I often wonder what the program is for when you have the likes of Strava. I only persist with Connect because that’s where all of my rides have been uploaded since I began charting my efforts. It’s storage essentially. That is until I wanted to create a training workout that I could use with my Garmin Edge 800. Connect allows you to quickly set up intervals and repeats, with desired targets such as time, distance, heart rate, power, speed and cadence. You can also set the number of repeats you need and then simply send the workout to your device. Hey presto, you’ve got yourself a workout planned, a robo-coach to make sure your interval sessions are done according to plan. You can also add each workout to the calendar in Garmin so you can plan your week or month, all things that Strava should be doing considering you’re paying them for a premium service. Using Garmin Connect I plan all of my workouts for the week ahead and send them to my Edge. This combined with the daily email alerts from Strava reduce my options for making excuses and skipping sessions because the plan is so much easier to follow. I imagine, or perhaps hope, that Strava will develop more useful functionality, including a workout review which would show you how closely you matched your intended workout (something rivals like TrainerRoad are already doing). Until then, Garmin Connect is free to use and creating a workout is very easy. Enough of the technical crap, did the plan work? How was it? Excellent. I have enjoyed (almost) every session. I loved the variety and the daily challenge, as well as the planned rests days! It was nice to know my training was structured and only towards the end of the four week plan did I feel tired, as the plan was designed. That said, the plan is not perfect. There can be no one size fits all training plan that works for everyone. We’re all very different genetically and more so when you add in variables such as fitness, tiredness, stress, diet, etc. The plan was a little too intense for me in week three, when I pushed myself to complete two 100% intervals in two days. With hindsight I would have spaced these out with a least one easy day in the middle of them. Yeah, that’s all very well and good, but did I beat my segment time? No, although I did try! Beating my segment PR was not the primary motivation for testing out the training plan. First and foremost my objective was to train differently and stop overtraining, which I am very happy to say I managed. Yet I certainly had a segment in mind throughout the training. My inner chimp would have it no other way. A local hill climb called Swain’s Lane where I’m already 15th on a leaderboard of over 5,400. I knew improving would be difficult and probably a matter of seconds. In two years I’d improved my time by a single second and that was with a mighty tailwind or two! When the time came for my PR attempt I almost didn’t attempt it because I was prioritizing recovery for an impending trip to Majorca. The cycling holiday was more important than the segment yet I awoke early and a cup of coffee later I found myself watching highlights of this year’s great Tour de France, which motivated me to go out for a er, spin (i.e. full on segment attempt). I was a fair way short of my PB yet I was happy with my segment time, considering a) I had cut my tapering short due to a date with an airport and, perhaps more significantly, b) the training plan couldn’t plan for the headwind I had on the climb rather than the usual monster tailwind I patiently await when attempting hill climb personal records on Strava. I’ve learnt a lot about myself over the four weeks. What my body can and cannot handle. I’ve lost weight. I also confirmed what I suspected about turbo training being pretty darned ugly but less so than London’s roads, which are no place for intervals. Oh, and I also discovered my max HR is actually 3 bpm higher than I’ve ever managed to get it all these years. Quite something, thanks turbo trainer! The Strava training plan is a great simple introduction into the world of online training. That said, I can already feel the pull of the feature packed but slightly more expensive TrainerRoad at some point. Until then, it’s fun time and a return to cycling proper and also to the wondrous cycling paradise that is Majorca. This will be followed by some rest before the turbo trainer and I meet again in a dark and lonesome hallway. And yes, I’ll be back Swains Lane, you can count on it. Interesting reading. I signed up for a Strava training plan earlier this year just to see what the workouts were like. I think it was the 10 minute climb one. It didn’t really fit in with my schedule at the time so I didn’t complete it, although getting the daily emails was a great motivator. Like you pointed out there’s room for improvement. I love your idea about a drag and drop self customisation feature – or being able to set what days and for how long you can train each session and then it plans around that somehow. Thanks TC. You should take a look at TrainerRoad which looks a little more customisable. I think all of the Strava plans, in fact any online training plan, will need some personalisation. I see the Strava plans as a good basis from which to tweak. Hi HC – Interesting to read your progress on this. This year I have done a lot of structured training on the Turbo and Rollers. I think it has made a huge difference to my level, but was not always easy. Motivation was high when I thought about the Marmotte, but has dropped a bit since. Still I think it has helped and has been quite time efficient in the evenings instead of pottering to Regents and back. (I overdid Regents in previous years so its nice to have a break from it). You are right about overdoing it on the weekend ride. A big weekend effort can really have a hangover for a week or so, I found that with the Marmotte and RideLondon etc. Recovery is tough after those events. Have you looked at Sufferfest? Might make an interesting article. In terms of Clubs you could have a look at London Phoenix, North London based and a nice bunch – I joined 6 months ago and I am happy to have done so. There is a tough Sunday morning ride you would like. Let me know if you fancy a ride after you get back from Majorca – not jealous at all…. Thanks Kinet1c. A well timed question, I’ll soon be publishing a TrainerRoad review. A sneak preview, it has lots of good plans for beginners, more choice than Strava, plus you can train with virtual power and on screen instructions. Much better than Strava training plans. A little pricey though, especially since Brexit for us Brits. I’m a fan even though I don’t follow one of their pre-made plans so think it could be great for you. Try it, I think they still offer a month for free.